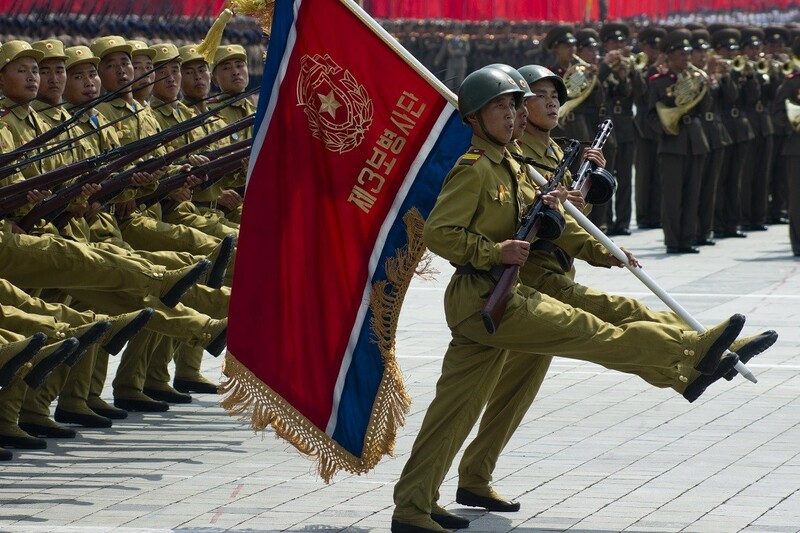 President Trump and North Korean Supreme Leader (or whatever the heck he calls himself) Kim Jong Un have been talking tough and perhaps bringing the two nations to the brink of war. We should never lose sight of the fact that war inevitably means death and misery for many innocent people. That being said, Investment U is not a political site, it’s an investing site. And many of our readers want to know if they need to get defensive with their investments... or if there will be buying opportunities if war breaks out. You may be familiar with Lord Nathan Rothschild’s famous quote above. Often, when war breaks out, investors take their risk off the table by selling their investments. They’re understandably worried about the worst happening. But for those who can handle some added risk and volatility, it’s usually a good time to pick up those beaten-down investments. There are two reasons I like real estate if war breaks out. Investors will likely flee to safety, which means buying U.S. Treasurys. As a result, the yield on Treasurys should decline, and that should bring down mortgage prices. Additionally, some potential homebuyers may get scared off and decide to wait until things calm down to make such a major purchase. Less demand means prices will fall. So real estate buyers may be able to pick up houses cheaper and with lower interest rates on their mortgages. This one is a bit obvious... but these companies should do well. Each Tomahawk missile made by Raytheon (NYSE: RTN) - the kind dropped on Syria earlier this year - costs about $1 million. We fired 59 missiles at Syrian targets in what was essentially a slap on the wrist for the Assad regime. If we’re looking to really slap Kim Jung Un around, there will be a lot more than 59 missiles dropped on his weirdly coiffed head. That would likely lead to big orders from Raytheon and other contractors that provide weapons, technology and services to the U.S. government. I’m a big fan of the biotech sector in general. With the baby boomers hitting their senior years, the demand for existing drugs and new cures is going to be enormous. What I like about the sector is that it is completely uncorrelated with a potential war with North Korea. If North Korea attacks Guam, or the U.S. military bombs Pyongyang, it should have no impact on whether Amgen (Nasdaq: AMGN) sells one more dose of its anemia drug Aranesp, or whether an early-stage company like Sage Therapeutics (Nasdaq: SAGE) will show that its postpartum depression drug is safe and effective. The products produced by biotech companies are recession-proof and, for the most part, immune to geopolitical conflict. The last time America went to war, when the U.S. invaded Iraq in March of 2003, both the S&P 500 and the biotech sector performed well, but biotechs more than doubled the performance of the broad market. Three months after American troops landed in Iraq, the S&P had gained more than 13%, and the biotech sector had soared more than 31%. After six months, the S&P was up 18%, while the biotech sector had gained 54%. 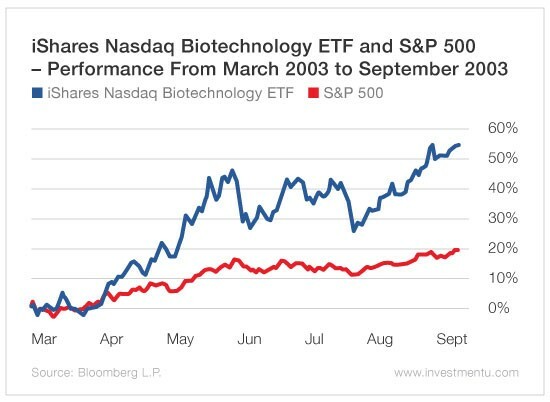 While biotech can be volatile, I believe it will generate the greatest returns over the long term of any sector in the market. The sector is constantly innovating with incredible new discoveries, alleviating suffering and saving lives. Should hostilities with North Korea heat up, look at any sell-off as an opportunity to buy quality investments at temporary discounts. Of course, that’s assuming it’s conventional warfare. If either leader loses his damn mind and launches a nuke, then your investments are probably the least of your concerns. Marc Lichtenfeld’s Oxford Income Letter provides subscribers with a reliable stream of income, largely from companies with stable or rising dividends. Several of these companies are real estate investment trusts (REITs). As Marc said, real estate tends to be a good buy in times of war, instability, and other economically uncertain conditions. For 2017, management expects AFFO to rise to the $5.10 to $5.30 range. So, even if the company continues boosting its dividend every quarter, it should have no problem affording it. Going forward, two-thirds of W.P. Carey’s leases are tied to inflation. If inflation picks up from the miniscule 1% or so of the past several years, we should see revenue and AFFO increase further, especially as the economy gathers momentum. And this will likely fuel even larger dividend hikes.